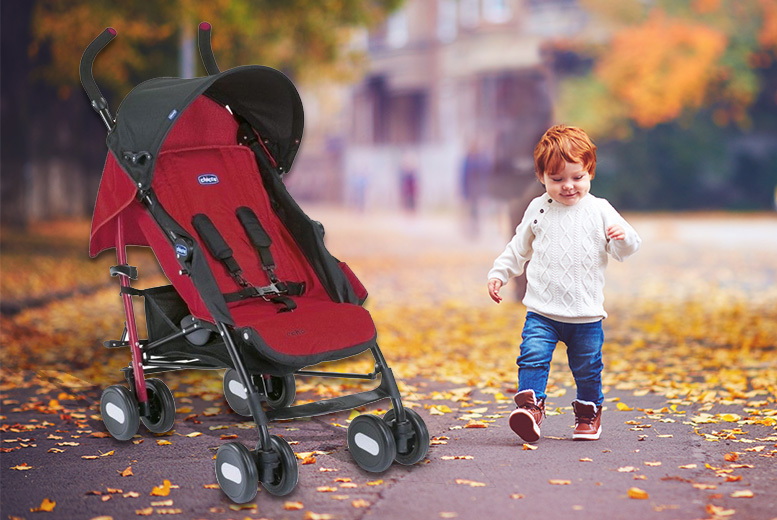 Get a Chicco Echo stroller. Suitable for new-born babies and children up to three years. With an adjustable, four-position padded back rest and a rain cover! Featuring lockable front swivel wheels and plenty of space. Size: H 108 cm x D 82 cm x W 47 cm.